What happens when the true struggle of your health committment is not confronted? The unhealthy lifestyle wins and your noble cause suffers. What about you? Do you know what your struggle is? What drives you to disengage with your health daily? 3. It leads to illness, early disability and death. If you follow the status quo of diet and lifestyle, you will be increasingly tired, weak, sick and in pain. It will not get better; it will get worse with each passing year, finally ending in dependence on others. HAS ANYONE EVER PUT SOMETHING INTO THEIR MOUTH BY ACCIDENT? What are you waiting for? Let’s stand up for our right to be healthy, feel good and live life by our own terms. Memorial Day is a perfect day to reflect on your willingness to make a change. Resisting the tide of ‘normal’ unhealthy eating and sedentary-ness is no walk in the park. You’ve got to press on and decide that NOW is a great time to reset and get healthy. It isn’t easy and it isn’t always fun. But the resulting energy, vitality, strength and mental clarity that will be your new ‘normal’ way of life will be worth every bit of effort and sweat you put into it. Lets us help you reset. Join our 21 DAY DETOX program and use the 21 days to reestablish your healthy eating and COMMIT to a HEALTHY SUMMER. Fill out this form and we will send you the materials to start. This program is all done remotely with your coach, which you will have 24-7 access too. 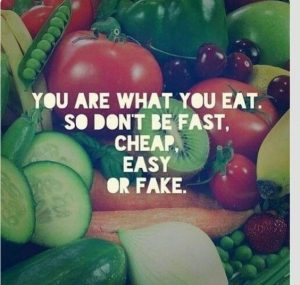 This program will just get you eating HEALTHY, UNPROCESSED, REAL FOODS! We’re behind you. Be HEALTHY. LIVE LIFE. Everyone is allowed to set your life on a new course. Forget the past—leave it in the past. Starting today with the right mindset is all it takes. Let us set it for you. Let is help you build a HEALTHY Future. It doesn’t matter what your track record is with fitness and health. We focus on the future here. And with us, your future looks great! Don’t waste anymore time, we have only 5 spots left. Click here to join our COMMUNITY.